For more than 40 years, folks of all ages and around the globe have fallen in love with William Wegman’s work. Once intending to be a painter, his artistic expression seems limitless as it also covers drawing, writing, video, and, of course, photography. It was our honor to dive into the Wegman World. And we’re still a bit starstruck, to be honest! The content on the site is the highlight that speaks for itself. Our job was to carefully preserve their retro web design concept while retrofitting the pieces into a highly customized responsive website. But this permanent gallery is still a work in progress with new exhibitions, publications, and press going up all the time. The MyUntangled® maintenance plan includes monthly content updates as well as hosting and round-the-clock security for these priceless works of art. 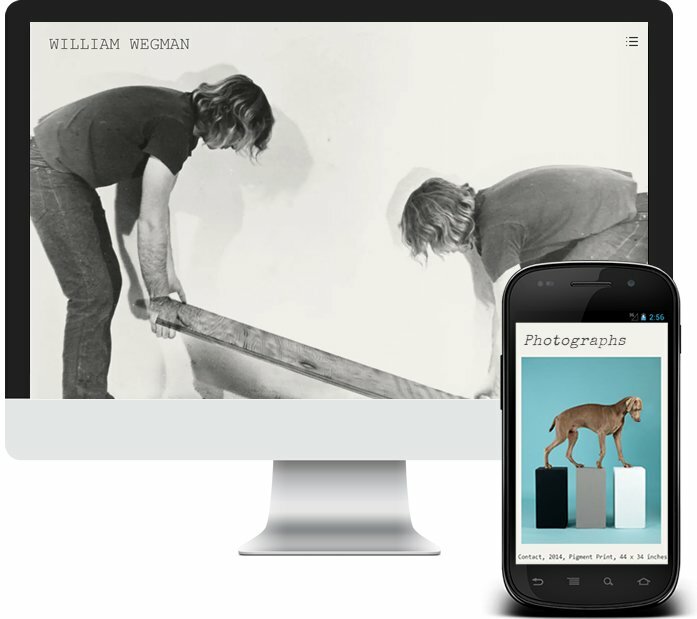 Admission is free at williamwegman.com.